Think wildlife, what instantly leaps to my mind are elephants, tigers, lions. The big and spectacular. And this year the theme for World Wildlife Day is indeed the majestic big cats. 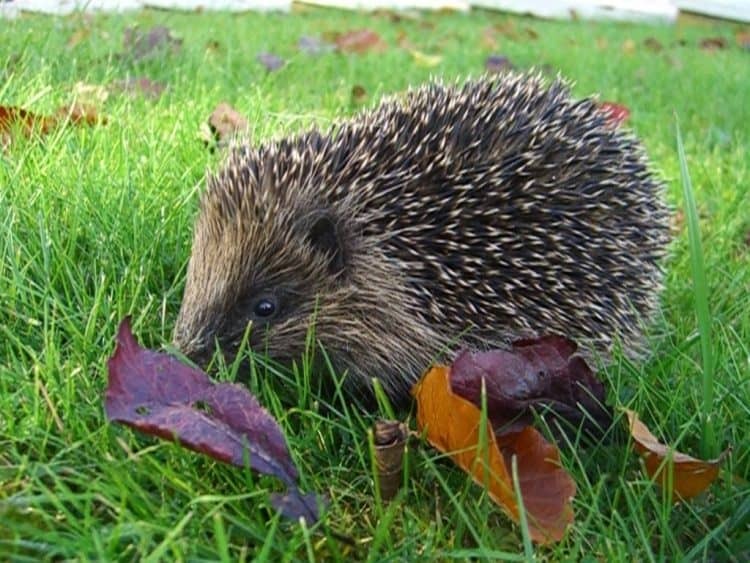 But wildlife also means of course, garden birds, mice, foxes, badgers, stoats and weasels, and here in the UK, the endangered hedgehog, to name a few. They may be less exotic and rare, but their lives are just as important to them – as they should be to us. We’re not all able to actively help our native animals today – heartfelt thanks to those who do, the rescuers, badger patrols, hunt monitors, all the wonderful folk who give up their time to protect wildlife and help it thrive. For those of us who can’t, at the very least there are ways we can take care not to cause harm. Life as a wild animal is challenging: you have to run after your own dinner, find your own shelter from the elements, and learn to avoid any predators that might be interested in making a meal out of you. And then, of course, there’s us. Sometime we make life easier for our furred and feathery neighbours by providing them with food (whether deliberately or not). And sometimes we cause them a lot of suffering: usually unintentionally, by carelessly discarding hazardous objects in their environment. In other words, by littering. Every day the RSPCA receives an average of 14 calls about unfortunate encounters between wildlife and items of litter. Summer is the worst time and birds are especially vulnerable. A great deal of pain and suffering could be avoided if we all at least remembered to put out discarded items into the nearest bin. Even better would be taking our litter home with us and recycling it responsibly. Discarded and empty cans may still be filled with enticing aromas, leading hungry wildlife to get stuck in the empty cans or injure themselves on the sharp edges. Clean your used cans and dispose fo them properly in recycling facilities. This is made to be sharp and potentially lethal so it should come as no surprise to hear that discarded tackle injures thousands of birds every year. They become ensnared or impale themselves on the hooks. If you are a fisherman, dispose of your tackle sensibly. What goes up must come down. Once balloons have finished soaring through the clouds they pop and fall to earth, where luckless creatures may find, swallow and choke on them. This notorious urban nuisance can suffocate or choke wild animals, so please dispose of your used plastic bags sensibly and responsibly. Broken glass is another frequent source of serious injury to our wild neighbours – and unbroken glass jars can entomb smaller animals. Please dispose of your jars properly and recycle your glass. Discarded plastic bands are both a choking and strangulation hazard for birds. Cut them before throwing them away: or better still recycle them. These increasingly popular paper and bamboo halloween entertainments can travel for miles on the wind after being released, before like balloons, falling to the ground and trapping, entangling or choking passing birds or other wildlife. Think twice before choosing Chinese lanterns for your party. I would add another one to the list – those plastic ties from 4- and 6-packs of beer, cider and soft drinks. Cut them up before throwing them in the recycle bin. Want to go one small step further? Surprisingly, our neighbourhood posties pose a special danger to our local beasties. Some drop the rubber bands that bind together the bundles of mail, leaving a trail all along the footpaths of their delivery routes. I’ve seen a blackbird trying to eat one. I’ve also seen distressing photos of a hedgehog’s injuries after getting entangled in a rubber band. If it is a hoglet, as he or she grows, the band gets embedded in its flesh. Rubber bands can and do even kill them. You will not have far to look to find the bands – they’re strewn on pavements everywhere, and probably on your front path from time to time. Why not phone your local sorting office and ask them if they have a policy for instructing their posties to save not drop the rubber bands. And if not, why not! Discarded fishing tackle is one of the worst dangers to wildlife. You will be saving lives if you remove and dispose of any you come across – and any other stringy stuff. Once you become aware, you will be surprised at how much potentially harmful stuff there is around. So if you can, do the beasties one more little favour, and pick up and recycle discarded cans and carrier bags. What’s the biggest single thing you can you do to help? Recycle and reuse. Keep your discarded items (and I would add, other people’s whenever possible) out of the ecosystem altogether. The birds and the butterflies will thank you for it. As will other wild and native critters. PS Discarded crisp packets and plastic bags can be hazardous for dogs and cats too. I agree with everything written. Over the past few years I have collected rubber bands that the postmen drop all the time & sent them back in an envelope to the Post Office asking them to instruct their staff NOT to just drop them anywhere. But…I waste my time! I still see them discarded all the time! Great article, something everyone needs to read. Litter is everywhere, not only a hazard but an eye sore. It’s in our cities, towns, in the countryside, you cannot believe the amount of litter in places like the Lake District and the Yorkshire dales, beautiful countryside spoiled by uncaring irresponsible people. People who visit these places leave all their trash, hikers throw empty plastic water bottles anywhere and everywhere, ruining the landscape they came to enjoy. Broken glass in the streets always concerns me because of dogs when out for a walk and other animals which I imagine get injured all too often. I did not realise the problem with rubber bands which I use a lot of and will now cut before throwing away. Why people cannot take their litter home I do not know there is no excuse. Come to think of it ,why do postmen throw away rubber bands anyway as they can be used many times over. Just wasteful, thoughtless and neglectful. Yes, we’ve left litter on Mount Everest and even in space. Awful. A few years ago, I was out on a hike with my daughter and my beautiful rescue girl Holly. Hols in her usual exuberant way leapt into a small pool of water, and emerged dripping blood and unable to walk. She’d landed on the sharp edge of a tin can. We were a long way from the car, or even the nearest road. We took it in turns to carry her, but we really struggled. And the sad thing was, there were plenty of other walkers, and it was apparent Hols was hurt and how much we were struggling, but no-one offered to help:( Eventually we did make it back to the car, and it was straight to the vet. Yes, so you’re totally right about the broken glass too. I suppose the casual littering is another sign of a wasteful consumer society. It’s got to change. In poorer countries, everything is put to use and re-used.